Imphal, Jan. 20: Chief Minister N. Biren Singh today assures to develop five pilgrim sites in Yairipok area as tourist spot. 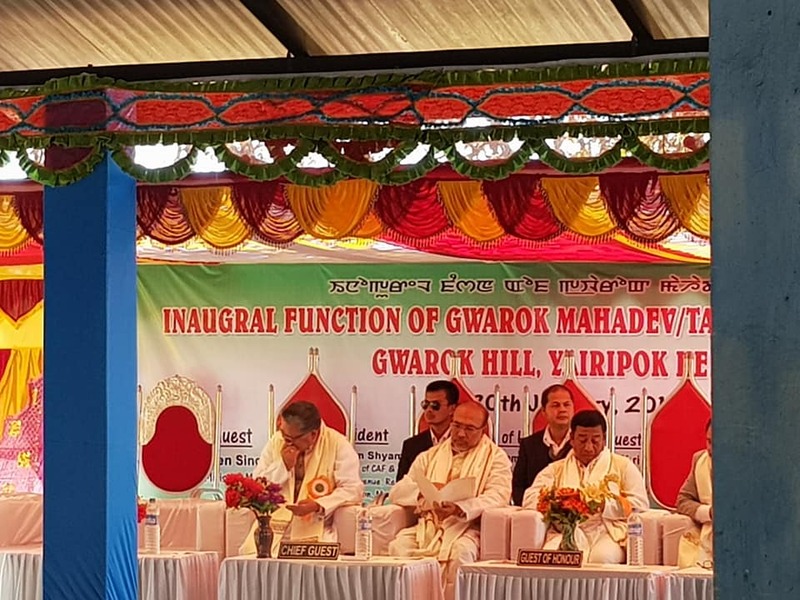 Speaking at the inaugural function of the newly constructed Gwarok Mahadev Temple popularly known as Tarang Saraba at Gwarok Hill , Yairipok Kekru, the Chief Minister said that the pilgrim site of Gwarok Mahadev, Kaina, Ingourok, Khabeikhong Thangthing and Nungeikhang as tourist spot. “The gifted beauty of the state has huge potential for tourist attraction and we have to develop this gifted site as our resource”, the chief minister said. On the other hand Chief Minister N. Biren Singh also elaborated on the importance of preserving our ancient temples and pilgrim site. “So far we have identified 36 sacred places and now in addition to this we have found out another two that is Awang Koubru and Ibudhou Thangjing. Lately we have also discovered the importance of Khana Chaoba Ibudhou sacred place. We will develop all these sacred places so people from outside the state can also be attracted besides preserving our cultural heritage”, N. Biren said. Appealing people to have faith in the almighty, Biren said he now understood why our ancestors lived more years than us. “People who are near to god, who follow the rituals and believe in good food and health live longer. We the people of today should follow the rituals of our ancestors”, Biren appealed. Excess behaviour, without respecting god has made many women of this land as widow this should be understood by each of us. 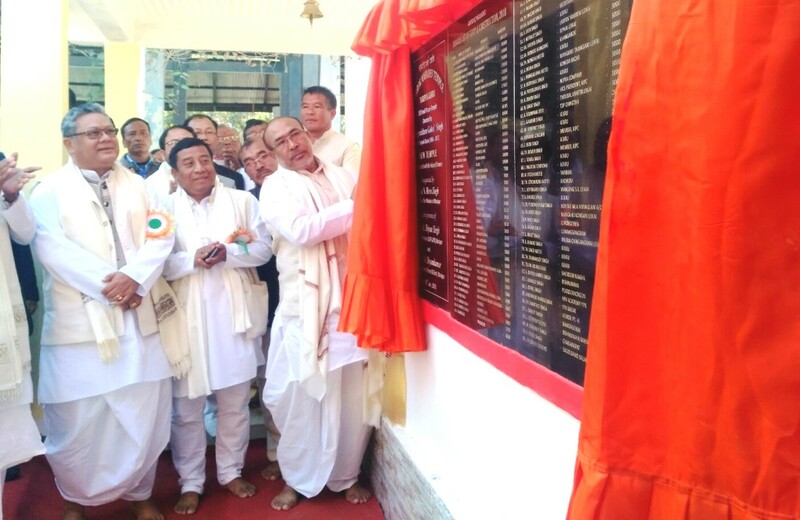 On the other hand N. Biren Singh also stated that his government top priority is to improve the condition of the people of the state. “We know that connectivity matters when we want to develop our state and we have been trying to improve connectivity at the earliest possible time”, Biren said and added that since the BJP led government came to power non-stop rain has hampered the effort of the government in its effort ot improve the road connectivity. “We came to power in March 15 and since then incessant rains till November has tied our hands from doing our work, we are only able to perform our work after November 4, after rains stopped, constructions and improvement of roads are taking place after Nov. 4 and soon the conditions of road infrastructure will be seen”, Biren assured. 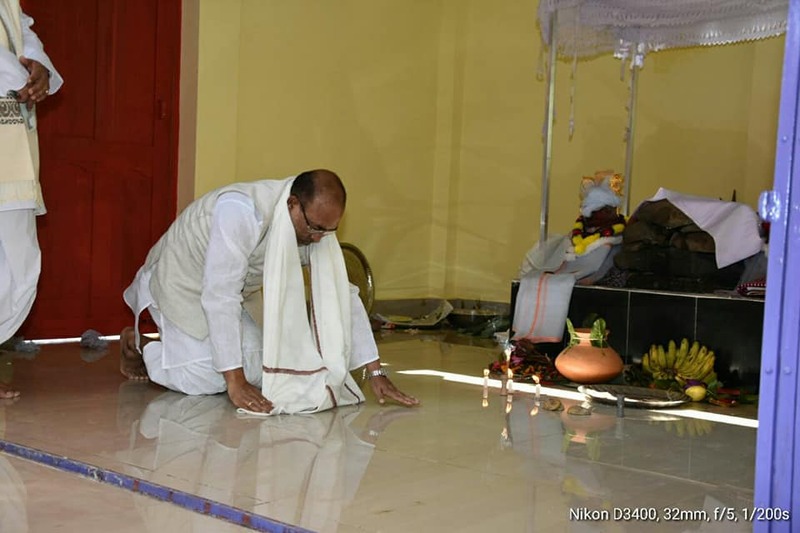 The inaugural function of the Gwarok Mahadev Temple was also attended by MAHUD Minister Th. Shyamkumar, Revenue Minister Karam Shyam, Parliamentary Secretary N. Indrajit, Parliamentary Secretary Th. Satyabrata, Social worker K. Jadumani and State executive member O Haridas.